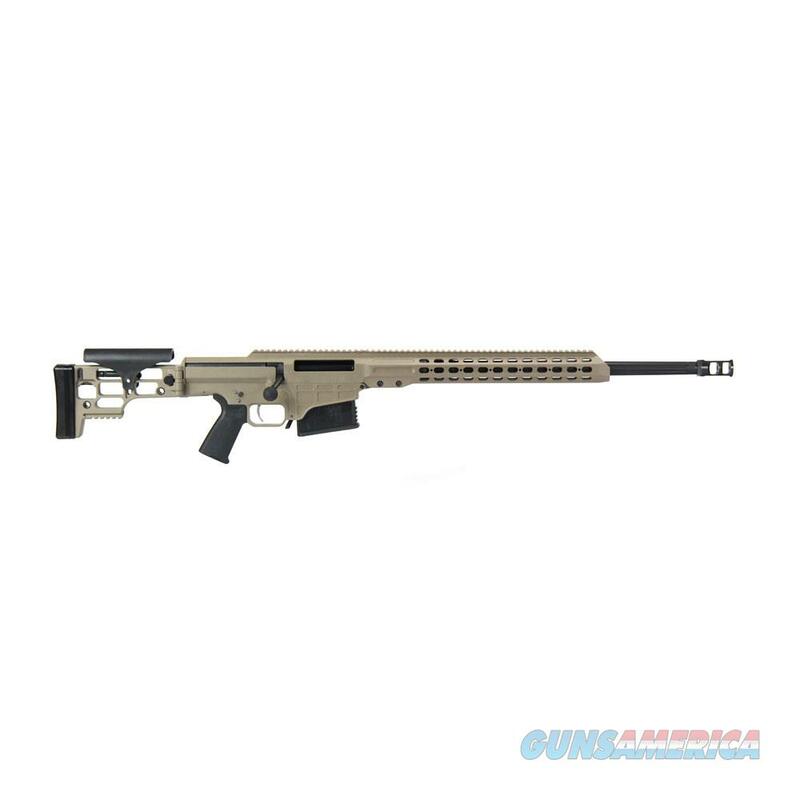 Description: BARRETT MRAD® - FLAT DARK EARTH CERAKOTE™ RECEIVER FLUTED BLACK BARREL •Bolt-action repeater •Unique design reduces maintenance & logistical burdens & allows for user-level caliber interchangeability & serviceability w/compatible MRAD® barrel kits (sold separately) •Polymer bolt guide acts as dust cover & provides smooth bolt cycling •Fully adj. match-grade trigger module can be removed without tools •Oversized trigger guard for operation w/gloved hands •RH/LH-configurable thumb-operated safety •Cerakote™ coated Mil-Spec Type 2/Class 3 hardcoat anodized 7000 Series aluminum upper receiver w/integral 21.75" long M1913 optics rail (20 MOA elevation) •Forward receiver is drilled & tapped for mounting accessory rails at the 3 6 & 9 o’clock positions •Precision-grade barrel can be removed by simply loosening (2) bolts w/standard Torx wrench •Lightweight foldable stock solidly locks in place for rigidity & consistent firing •During transport stock folds & locks onto bolt handle maintaining same rifle width whether folded or extended •Push-button 5-position LOP adjustment •Sorbothane® recoil pad •Temperature-resistant polymer cheek-piece is adj. from either side •Generously sized mag. well for quick reload •Ambidextrous mag release can be used intuitively while retaining firing grip & cheek weld •Accepts most standard M4/M16 pistol grips •Includes (1) 10-round drop-free polymer mag. (2) QD sling swivel loops (3) accessory rails & Pelican hard case w/custom insert Cal. : .300 Win. Mag. - Twist: 1:10" - Cap. : 10 - Brl. : 24"